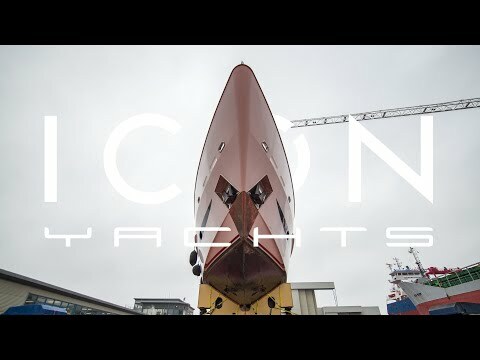 Icon Yachts has posted a video showing the 30 metre Heesen superyacht Zabava being lifted onto the dry dock at the Dutch yard's Harlingen facility. Zabava arrived at Icon Yachts on November 6 to undergo a complete paint job in preparation for a summer season cruising the Mediterranean. She is scheduled to hit the water again this spring. Zabava was sold in May this year. 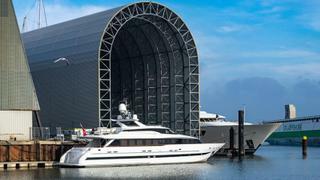 Owner representative Jelena Vezia of Ocean Independence previously said the new owner always intended to do a refit in northern Europe to "enhance the quality of the boat”. Other refit projects currently underway at the yard include the 59.5 metre Ramble on Rose and a 60 metre Benetti superyacht. The 68 metre conversion of Project Ragnar is well underway and scheduled for delivery later this year.